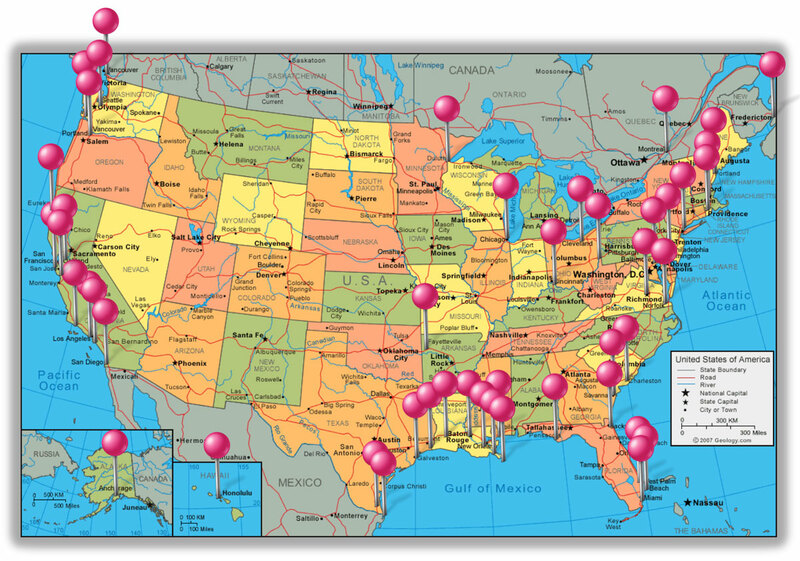 Vickerman & Associates' maritime and intermodal projects are international in scope and complexity. The projects are illustrative of just some of the major work experience and capabilities indicative of the unparalleled industry knowledge of our Principals and sought after by our Clients. John Vickerman was the Founding Principal of the firm Vickerman/Zachary/Miller, Inc. (1980 to 1995) and a Founding Principal of the firm TranSystems Corporation (1995 to 2008). Mr. Vickerman is the Project Principal-in-Charge, Architect of Record or Project Manager for the following current Vickerman & Associates projects and is responsible for the overall project management. In some instances, the project originated with TranSystems Corporation. Vickerman & Associates was selected as the prime consultant in January 2013 to provide logistics analysis and distribution center conceptual planning for a new inland port logistics center serving the new PSA Panama International Terminal (PPIT) located at the entrance of the Panama Canal, on the pacific side at the former US Rodman Naval Base. PPIT is a new port terminal built at the Pacific western-side entrance of the canal by a Singapore government-owned company. The PPIT project has completed its first phase of construction with a state-of-the-art 300 meters length container berth, equipped with three Post Panamax quay cranes and six RTGs and began operations in December 2010. Vickerman & Associates will survey existing logistics services in the Canal Zone and develop design requirements for the new logistics park. 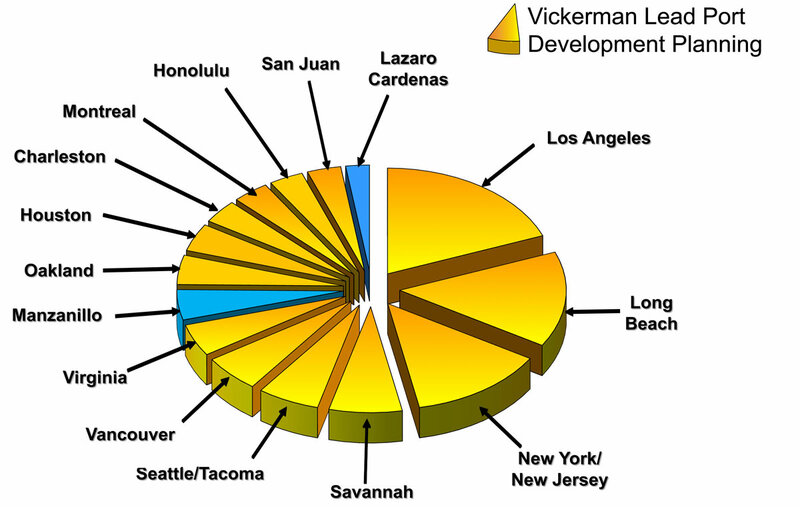 Vickerman & Associates was retained in December 2012 to provide support to the JLARC and to convey information from the maritime port industry perspective regarding (1) the position of Virginia Port Authority (VPA) and Virginia International Terminals, Inc. (VIT) in the intermodal market; (2) potential for VPA/VIT market growth; (3) projected future volume of VPA/VIT; (4) recent volume declines experienced by VPA/VIT and recovery from them; (5) validity of cost comparisons of VPA/VIT to other ports; (6) extent to which VPA/VIT institutional structures impede sales and marketing; and (7) the operational reputation of VIT in the shipping community. Vickerman & Associates was commissioned in July 2012 by the Port of Providence (ProvPort, Inc.) and the Rhode Island Economic Development Corporation (RIEDC) to provide ProvPort, Inc. with professional advisory services for technical expert consulting reviewing the RFP procurement process, crane technical specifications and contract proceedings for the acquisition of two mobile harbor cranes and the associated design and construction of two new barges for the Port of Providence. The mobile harbor crane acquisition is a component of the Port of Providence’s Tiger II grant award through the US Department of Transportation (USDOT), Maritime Administration (MARAD). Vickerman & Associates was retained in 2012 by the Iowa DOT and their project general consultant, HDR Engineering, Inc. to provide an Upper Mississippi River commercial market analysis including identification of key shipping and logistics market drivers, future shipping market forecast assessment, and recommended Inland Waterway development strategies and logistics options. The benefits of an improved lock and dam system were described in the study with quantitative evidence compiled illustrating the important economic value of continuing to use the waterway system for both the regional and national economies. The study answered the question: What can Iowa do to stop the deterioration of the system?